No Credit or Bad Credit? The consumer credit reporting agencies (CRAs), which include Equifax, Experian, and TransUnion, start a credit report on a consumer when he or she has and uses credit. If you have not used a credit card, applied for a loan, or had an active loan in the last 10 years, chances are the CRAs do not have a credit report on you. I wrote "chances are" here because it is possible your employer may report your employment history to the CRAs, which will cause an active credit report that would include your employment history only. You may also have a credit report if you have derogatory accounts that are less than 7 years of age, a bankruptcy less than 10 years ago, or a judgment less than 10 years of age or the length of your state's statute of limitations for judgments, whichever is less. If you have no credit history, you are in a catch-22 situation. You can't open a credit card or get a loan because you don't have a credit history. And you can't create a credit history without opening account. The most difficult step is convincing the first creditor to open your first account. Above, I mentioned three tactics for starting your credit history. After six months of history, apply for a second account. If possible, apply for an account that is of a different type than the first. The credit scoring software rewards account diversity. Once you get started, keep one credit account open and use it every few months to make purchases. Then pay-off the account in full to avoid interest charges, and to keep the account's history positive. Continue this practice for the rest of your life, because you can never foresee when you may need an emergency loan. A credit score is a predictive statistic that helps creditors decide if you are good credit risk. The higher the score, the better the chance you will repay a loan, and a low credit score indicates high risk for lenders. A bad credit score results from late payments, delinquent accounts, foreclosure, bankruptcy, and high balances on current accounts. Recovery from a negative event, such as making a late house payment, can knock 60 to 90 points from your credit score. Recovering from a single misstep, called a derogatory in the credit report world, varies depending on the severity of the derogatory and the starting point of your credit score. The table below shows the time to recovery for common derogatories. Source: Fair Isaac & Co.
No Credit History or Bad Credit Score? It takes less time to create a credit history than it takes to recover your credit score from a mishap. The higher your starting point, the farther your score will fall and the longer it will take to recover. Keep in mind that just as there are three CRAs, different companies compete to create credit scores. The credit score most lenders use is FICO, and therefore that is the score you should pay attention to. The CRAs also offer credit scores that compete with FICO, but the numbers they generate may or may not be the same as a FICO score. Unfortunately, the CRAs do not make it clear that the credit scores they sell consumers are the same as the credit scores lenders see. 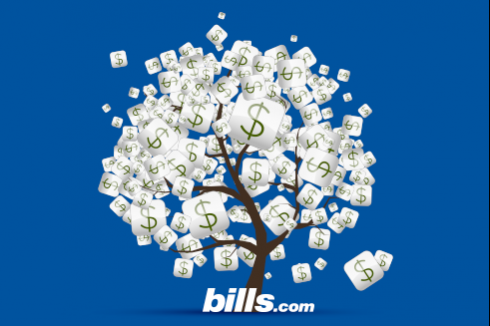 See the Bills.com article How to Improve Your Credit Score to learn seven ways you can boost your credit score. Read Short Sale, Foreclosure & Your Credit Score to learn how much damage different derogatories inflict on your credit score. Get a no-cost, no-gimmick copy of one, two, or all three of your credit reports from AnnualCreditReport.com.